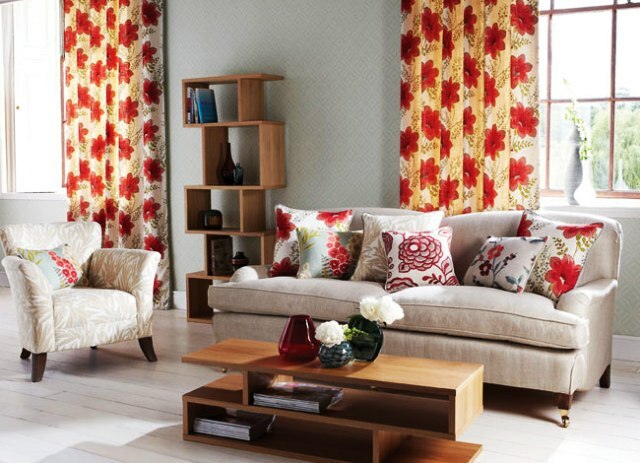 Winter colours especially as curtains and blinds give you an opportunity to catch everyones attention with a palette of receding and advancing colours. Punctuations of brightness in the stunning black and white decor below are offered by a particularly vibrant orange and the reflective surface of the tiled floor gives a very contemporary, not to mention light and airy finish to the room. but there is a new very trendy form of curtain track available which is especially suited to a modern decor …. the Byron and Byron polmet. 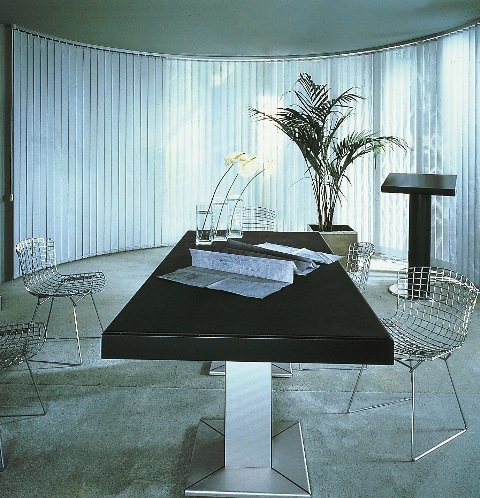 This innovative curtain track makes a design statement in its own right, the black mirrored effect of the surface being given an extra dimension by the bevelled edge of the track. Any form of curtain heading, but especially double pinch pleat or pencil pleat will suit this modern track, but make sure that when you measure for the curtains you measure for them to hang just below the track or the clean horizontal look of the track will be broken. 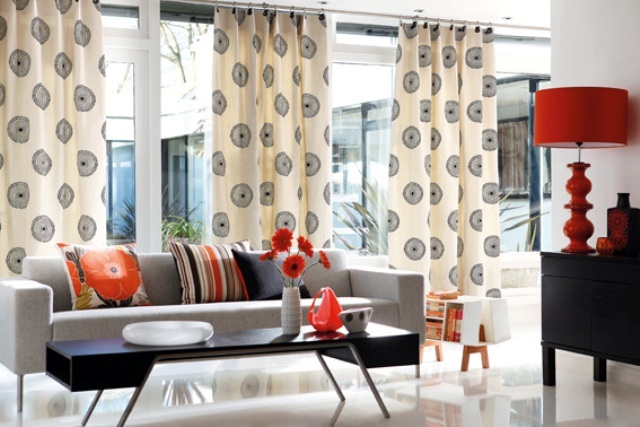 It is often better to hang the track or curtain pole before making or ordering readymade curtains or worse still having expensive made to measure curtains and finding they are the wrong length. 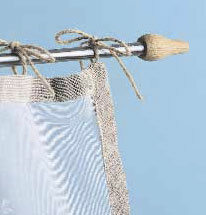 Curtains that are too long can usually have the curtain hook position lowered which will obviously lift the curtains higher to slightly compensate, but this may well cause the curtain heading to foul the curtain pole or track. Curtains that are too short stand out for all the wrong reasons and to most people are as offensive as trousers that are too short. Curtain tracks are now readily available in various colours and Aluminium tracks such as the Fineline metal curtain track are also very easy to fit around tricky bay windows as they can be bent by hand. 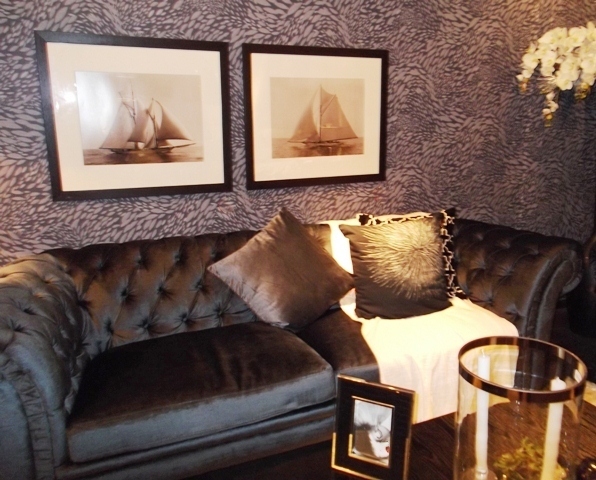 A black feature wall makes the perfect setting for a collage of art work, the pictures looking richer and the details more defined. 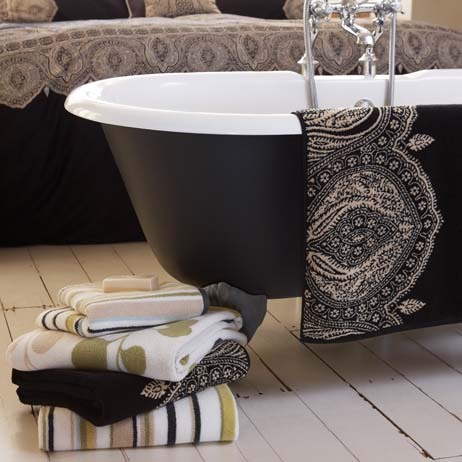 Black furniture or as in the case of this stunning bath are perfectly matched to white or off-white walls, although to my mind a black and white decor definitely has more masculine overtones, whereas grey and white being softer is by definition, more of a feminine looking decor. But before you steam ahead with copious amounts of black and deep earthy primaries make sure the room has adequate space and light to be able to cope with these colours or the room will look depressing and overpowering. 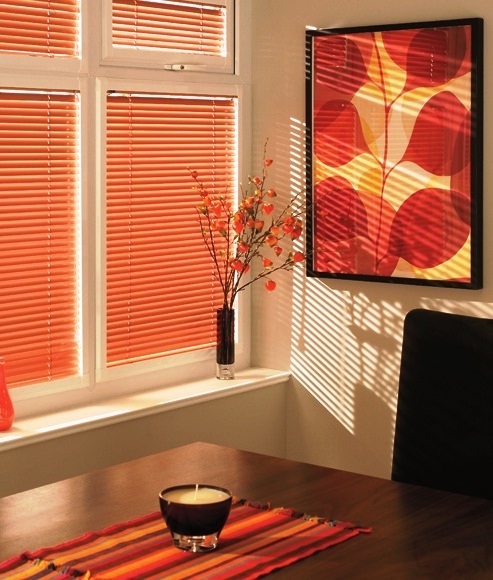 Metal Venetian Blinds are Particularly Good as a Medium for Introducing Just Enough Vibrant Colouring to Blend with Brightly Coloured Home Accessories. 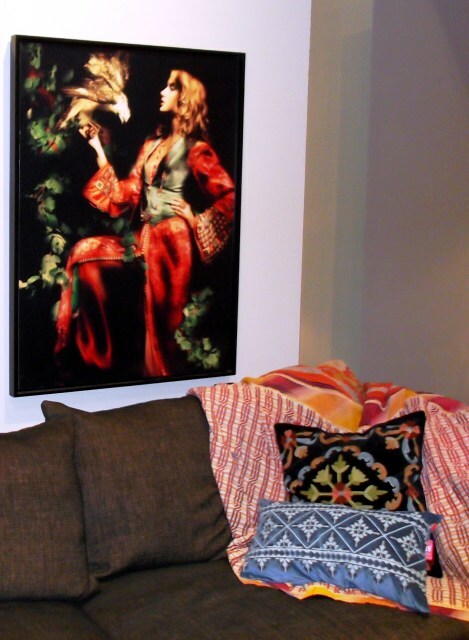 I was once asked to re-do a show house that an “interior designer” had supposedly done. It was a complete disaster because clearly the designer loved terracotta and had themed the whole scheme around it, not bothering to first look out of the window of the living room, which is after all almost the first place a potential buyer looks. The show house was completely overshadowed by large, protected trees and was built in red brick which would not normally be noticed from the inside. This particular house however backed on to the garages of the new estate, the view from the living room window therefore being dominated by red brick. With the garden being virtually only 2 metres square this was clearly an issue that need to be considered. Everything in terracotta including the curtains, three piece suite and cushions had to go; all that remained in terracotta were a few candles and a splash of terracotta in the paintings. I went neutral to lighten the load of the wall and lift the dismal mood of the room created by the shade of the trees and included plenty of lighting of course. Autumn colours are related to the fire element, they are warm colours that have black added in varying amounts – burgundy, mustard and burnt orange being classic examples. 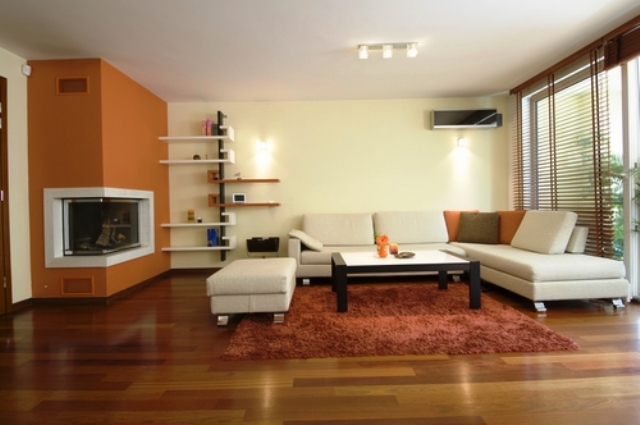 These colours look particularly striking in a modern home with wooden elements in the décor such as flooring or wooden blinds. The intensity will give character to a neutral contemporary décor with just perhaps a feature wall, a scatter rug and a few cushions. The brilliance of these colours work most successfully in rooms used for lounging and entertaining, but avoid using bright white for your walls as they will absorb the strong colour, turning the walls a very pale peach. Wooden Venetian blinds and Woodweave blinds suit perfectly these earthy colours. Countries close to the equator are not able to be influenced by the changing colours and temperatures of the seasons it’s more a question of whether it’s a wet or dry season. They do not have the wonderful long summers evenings, their daylight hours remaining more or less constant which is why their decor often uses plenty of autumn and winter colours, the powerful decorative element lightening the mood. I realise that by the same token, they do not have the long dark winters evenings, but brightly coloured autumn and winter décor details and good lighting, especially good task lighting, certainly helps our winters along – imagine in days gone by when all you could do was huddle around a fire with nothing to do except try to stay warm. 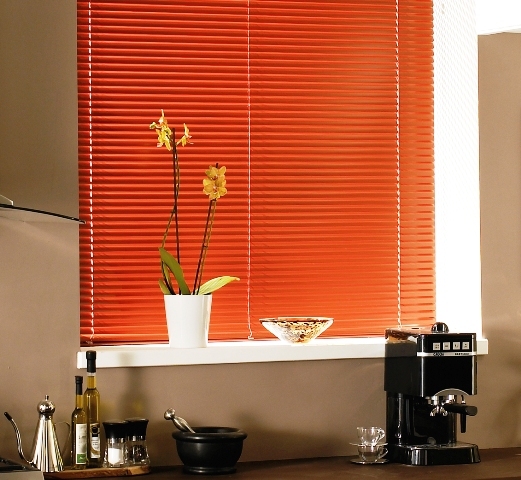 Metal venetian blinds certainly give you a wide range of colours to choose from, these vivacious shades really looking at their best as the metal blades of the blind take particularly well to the paint finishes. Brass and bronze effect curtain poles balance well with the assertive earthy tones of the autumn colours. Modern metal curtain poles in stainless steel and chrome are more in tune with a bright summer décor, the glass finials of this particular pole adding to the airy feel. 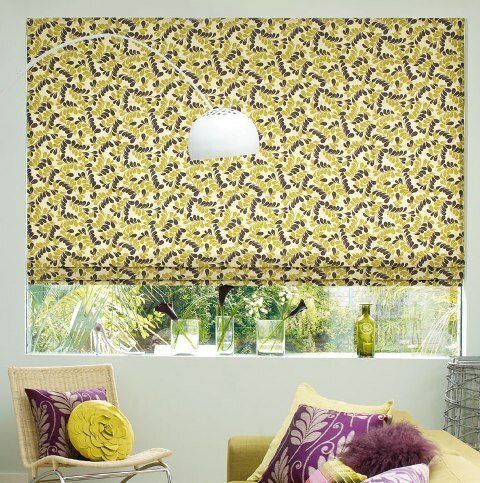 Roller blinds are a great and also economical way to grab attention and can easily be changed with the seasons. 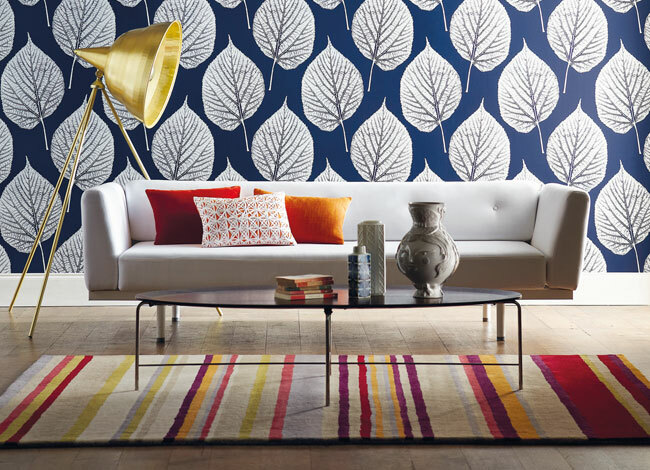 Just moving a few things around, altering your cushions and blind colours and perhaps some artwork will keep your décor interesting. 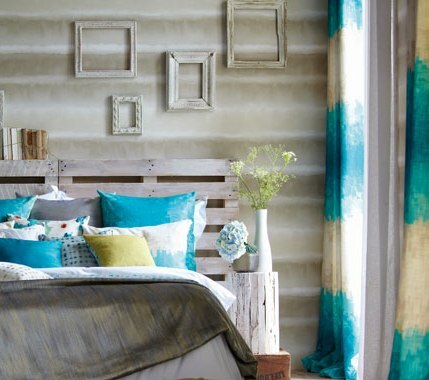 Spring and summer colours are all about airy freshness and autumn and winter colours are all about cosy comfort. 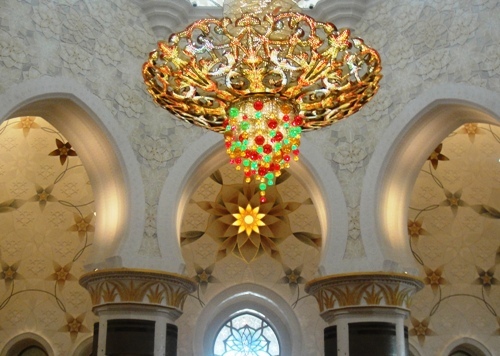 Colours mean different things in different cultures. White is the colour of mourning in China for instance and would be synonymous with death, so would therefore not necessarily make a welcoming pair of curtains or blinds. White for people of the northern hemisphere is synonymous with ice and snow, therefore a symbol of purity, innocence and freshness, ideal in particular for bathroom blinds and brides dresses. 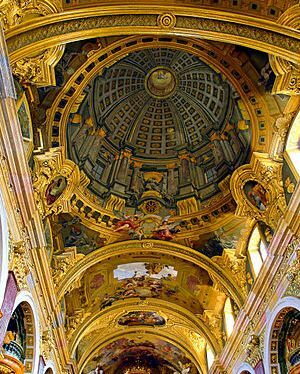 As island dwellers our décor has not been influenced so much by our European neighbours as by our large empire around the world. 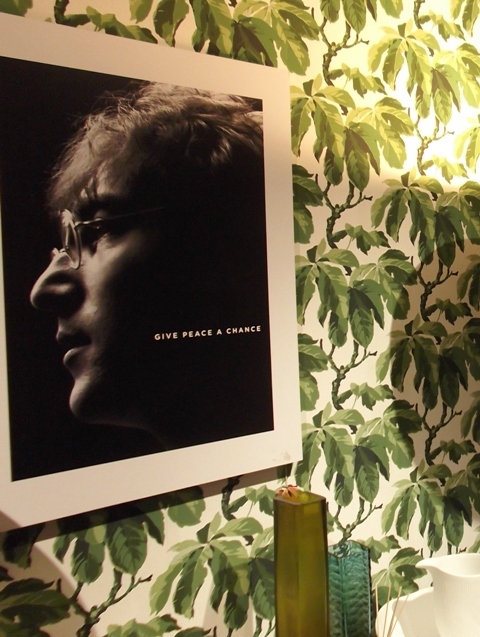 If you decide to theme your decor around a collection of artwork or ornaments then keep the background colours to the minimal, you cannot have two or more items competing for attention, it will be overwhelming and the result will miss the point. but the most influential source of inspiration for our quintessential English décor has always been nature and its changing seasons. Spring Colours are soft light colours, definitely NO dark colours allowed. These colours by virtue of the fact that they have plenty of white in the mix will make a room feel more spacious and the wall colourings ideally should be white to maintain the cool appearance. Blinds and curtains of various descriptions make a quick and economical way to change your décor in harmony with the changing seasons with just a few tweaks being made by altering the colour of the home accessories in harmony with the change of window treatment. 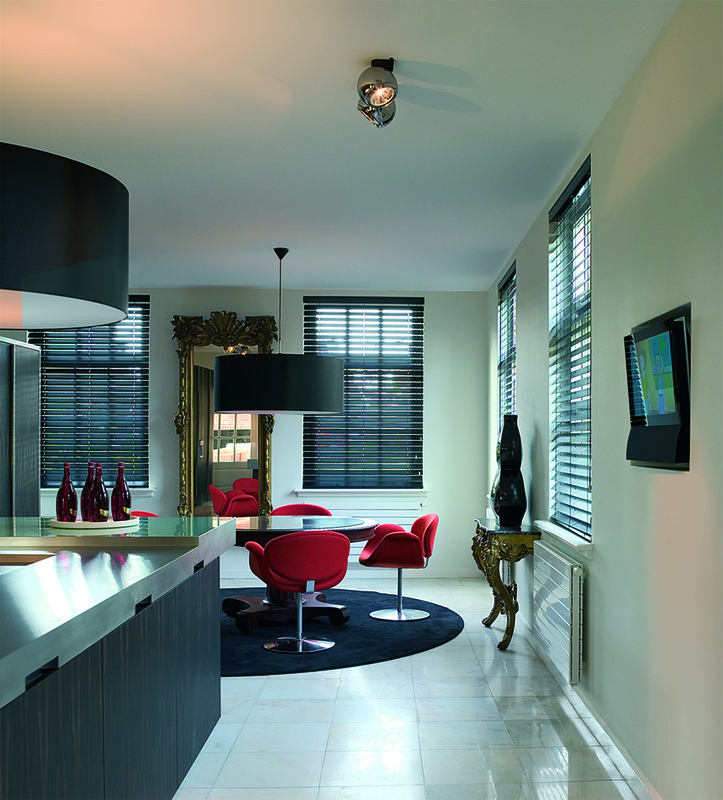 Metal Venetian Blinds make a wonderful contemporary window treatment. Green is the colour of life and represents perfectly the freshnesss and tranquility of a spring decor. It is a colour that can be used for walls and window treatments especially for living rooms and bedrooms where a calm and restful atmosphere is most welcome. 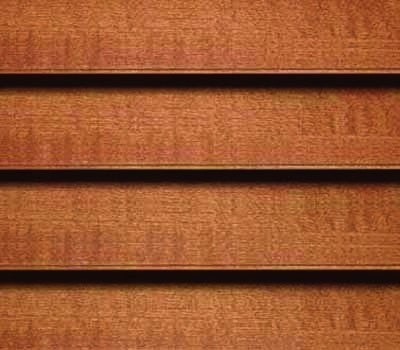 Metal venetian blinds are available in a vast array of colours so you will be able to find the perfect colour match for even the trickiest of colour schemes. 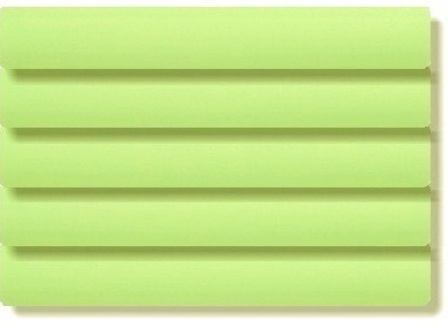 Harmonious Colours for bright spring greens would be yellow, lime and blue. 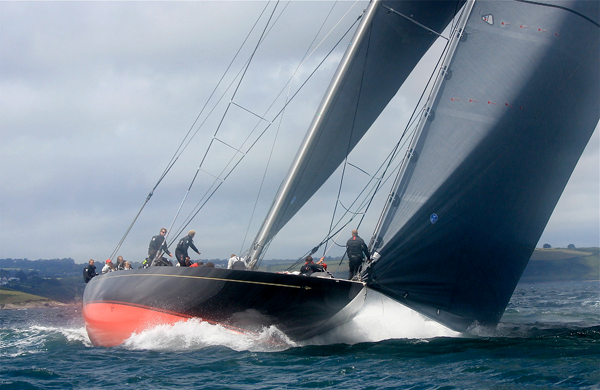 Contrasting Colours would be fuchsia, pink, red and brown. Very pale pink or peach is a lovely spring colour which can be used anywhere in the house. 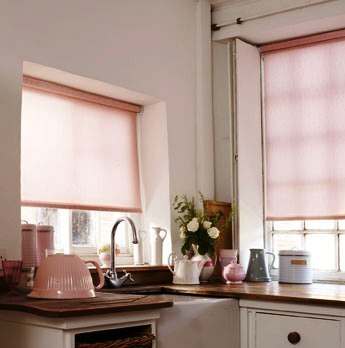 Kitchen blinds, curtains and accessories do not always have to be bright energising colours particularly if the kitchen is in a pretty English country style home. 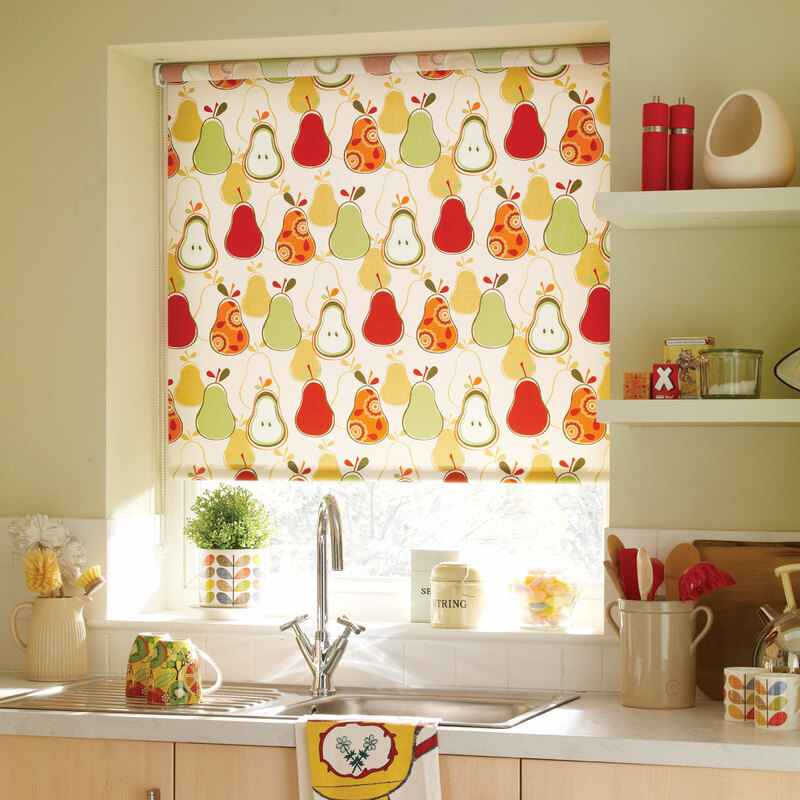 This charming roller blind looks warm and inviting as there is the merest hint of red in the make up of the colour. 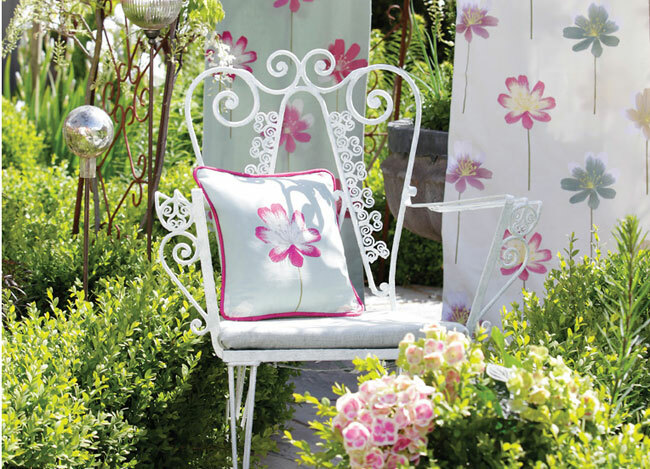 Harmonious Colours for pinks are lilac, blue and grey. Contrasting Colours are green and brown. Pale pink kitchen accessories are not quite to easy to find as the norm is for high impact colours, but do not despair, they will be out there somewhere. 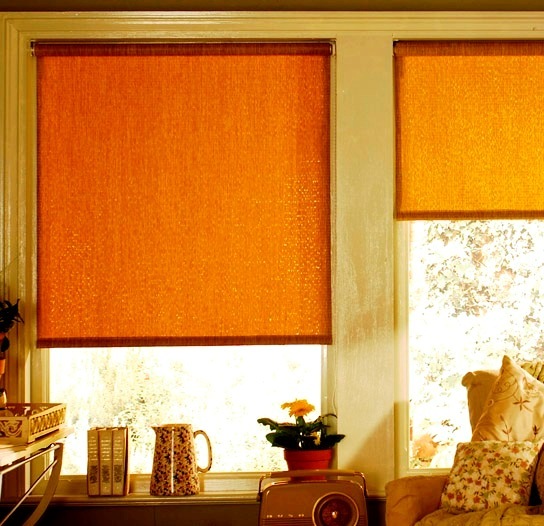 This fabulous vertical blind if it is used during the day to protect the furnishings and carpet from the harmful rays of the sun will fill the room with a soft glow as the sunlight is filtered through the blades of the blind. Pale yellow is particularly attractive in a family living room as it is a happy colour which exhudes warmth and inspiration. 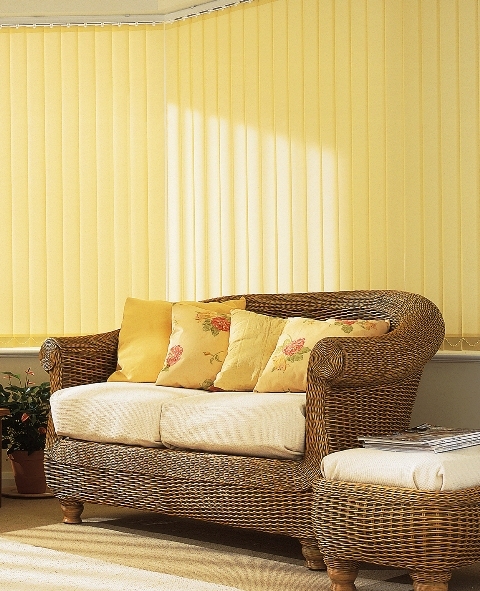 It is also a colour that is great for blinds in kitchens, dining rooms and north facing rooms. Harmonious Colours for spring yellow is lime, orange and brown. 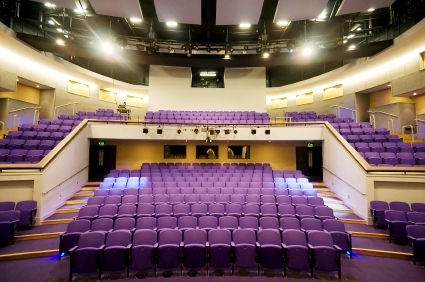 Contrasting Colours are blue, aqua and lilac. Mallow is a colour that is particularly attractive to base your decor around. It can be easily introduced with blinds, curtains, bedding and cushions, which will offer just a hint of this lovely colour without creating a decor that the National Trust would be proud of. It is actually a pretty little flower that can be seen growing on waste land such as the sides of motorways as well as in cultivated gardens. 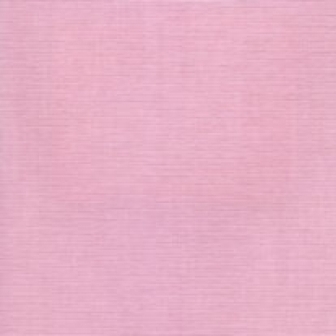 It is officially a colour in the English language, but can be anything from a light to a dark pinky mauve as the petals are very obviously two tone. As with any colour that is favoured by Mother Nature it is also a great colour to use in our homes as it will blend with so many other colours, being particularly favoured in a combination of colours for floral designs. 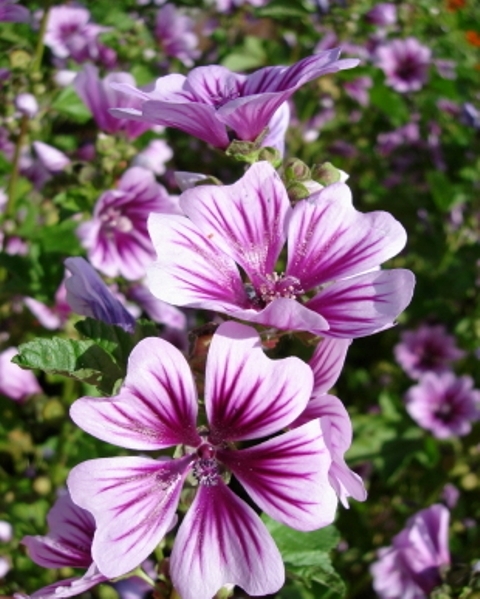 Mallow can be used as the main colour or just as an accent colour in any room and for any period of décor. 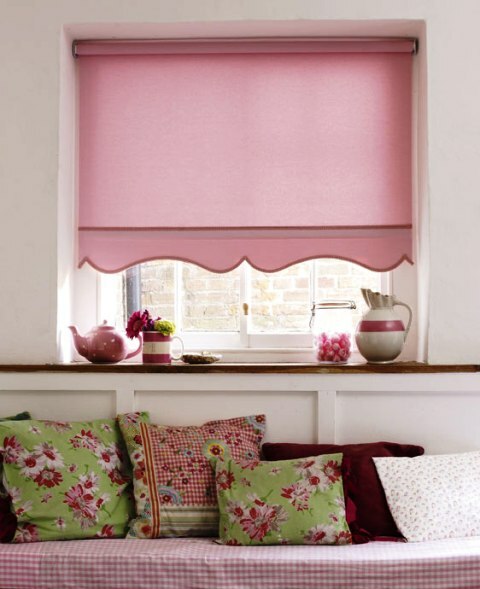 Shades of pink are often seen as a soft feminine colour and restricted to bedrooms, particularly for little girls. The mix of pink and magenta which is the basis for Mallow is a more serious colour that can be used for all kinds of things including the colour of the underwear for the inmates in some American prisons (not got a photo of that you´ll be pleased to know), to the colour of the seating in public places as the colour has proved to be extremely effective in promoting feelings of calm and relaxation. 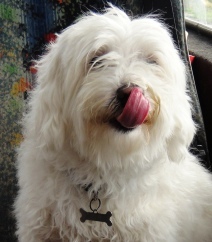 Mallow has an underlying confidence due to a degree of red in the make-up of the colour. 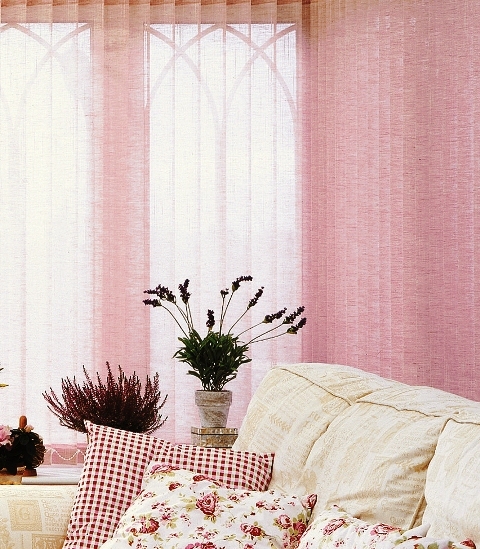 Mallow window treatments can be Sophisticated or Cottagey. make fabulous window treatments for living rooms and kitchens, so don’t do this colour a grave injustice by confining it to the bedroom. Metal venetian blinds are very popular in kitchens, especially for a cutting-edge stainless steel kitchen as the chic lines of the metal blades of the blind are perfect, curtains would look ridiculous. 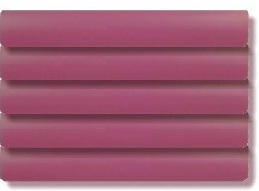 If you are fitting a metal kitchen and are thinking about carrying the metal coloured theme through to the blinds, then before you get too carried away and end up with a very industrial finish, consider enlivening the look with a compromise, a metal blind in a warm colour such as this fabulous Mallow metal venetian blind, the intensity of the deep energising colour will give a visual focus which will lift the intensity of the metal units. If you prepared to really get down to it, you can find some fabulous home interior accessories that will introduce an accent of this appealing colour that can be followed through in a few other selected items such as cushions and bedrunners. White – the Chameleon of Colour. White is the ideal choice to enhance the visual impact of the features of a decor or indeed the architecture, but is not always the easy option as it will also take on the colours around it like the chameleon, unlike creams and naturals which tend to blend with their surroundings. 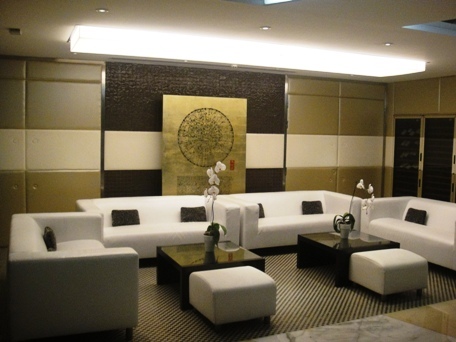 White will highlight the other colours in the decor. White wooden or metal venetian blinds and white roller or roman fabric blinds work universally with any colour of décor just as well as white curtains. The type of fabric chosen will be the determining factor in the type of décor best suited to the fabric such as a simple crisp cotton would be best suited to a Country or Scandinavian look whereas a sumptuous silk would look the part in an elegant more traditional finish. 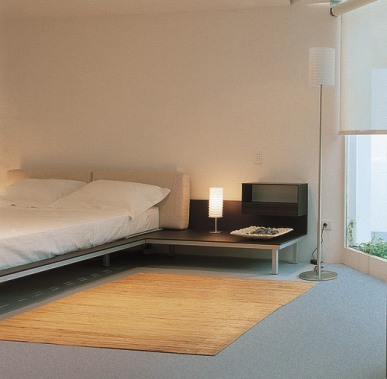 There is for example nothing to outshine the simplicity of a plain white roller blind in a modern decor. Due to the popularity of large quantities of white in our home décor, there is now a positive gourmet of shades of white paints for walls and woodwork- gloss or semi gloss for woodwork and a semi gloss for the walls are best as the reflective properties will maximize the light in the room. Natural whites sometimes include a tint of colour but remember to paint a sample patch of wall before you rush in and paint the whole room as the tints can sometimes end up being more dominant than expected. 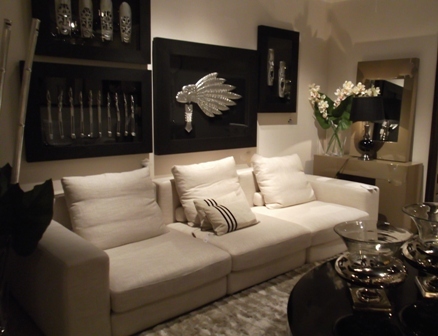 White furniture and furnishings have long been used by top designers to accentuate the colours of the decor, giving a room visual space and depth, lifting the whole impact of the room. Us lesser mortals can also use this to our advantage at home by using white furniture – your rather dated pine can even be given a new lease of life simply with the help of a tin of white paint. And while you are about it, why not take up the old carpet; you never know what may be underneath possibly also waiting for a whitening. White decor is very easy on the eye and interestingly changes colour more noticeably according to the time of day than a coloured setting. Some things are however best not white !!!!! !